Take a bite out of a crisp and juicy orange slice! The crescents feature texture that is modern. 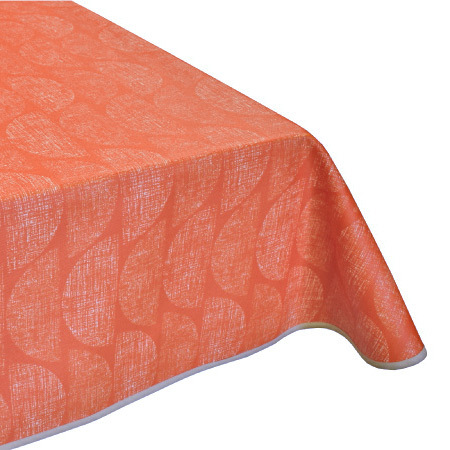 You can imagine this tablecloth as the backdrop for a social gathering, a family meal, or even eating outside. The orange colours complement each other for a fresh look. Coated in Teflon, the surface is easy to wipe clean.